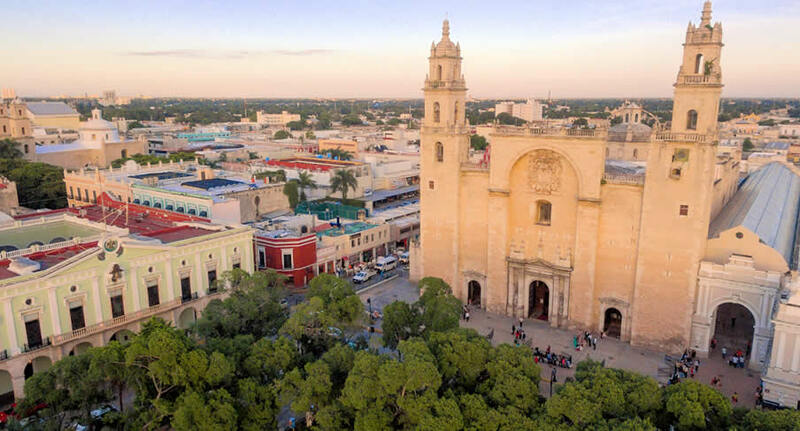 Mérida, the vibrant capital of the Mexican state of Yucatán, has a rich Mayan and colonial heritage. Visit Plaza Mayor - also known as Plaza de la Independencia, or Plaza Grande - it is both the commercial and cultural hub of Mérida, and is a good place to start a car rental tour of the old city center. NÜ Car Rentals has a rental location at Merida Airport. The peacefulness of the town and the beauty of its streets, make it a place of elegance and contrast amid its colonial houses, Mayan ruins, and architecture. Its food, layered with exquisite gastronomic heritage, will take over your taste buds. Join the adventure today in Merida, Mexico, with NÜ Car Rentals cheap rates!